Click on Elizabeth Street to read. Write your own personalized thank you notes to admissions directors! 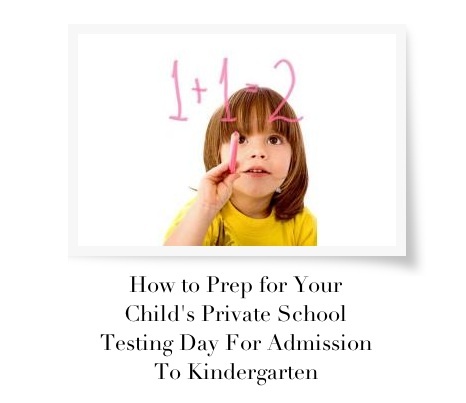 When you’re applying to private elementary schools, you want to make sure to hit all the right notes during what can be a stressful process. Busy parents often overlook thank you notes, but they are an important part of the admissions process. 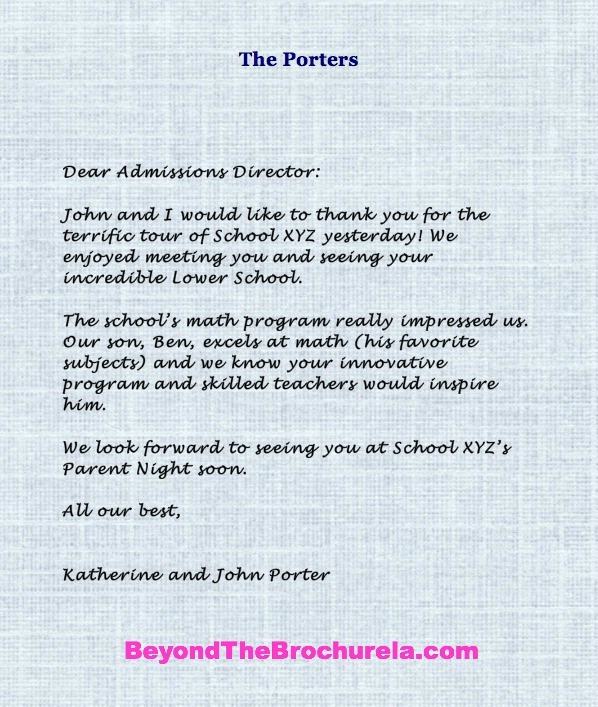 A written thank you to the admissions director is one more way to help your child’s application stand out. I’ve had several admissions directors at top-tier schools tell me they consider thank you notes an essential part of the admissions process. Many admissions directors like to receive thank you notes after every step in the admissions process. For example, after your tour of the school, send the admissions director a thank you card. Or, send off a quick email. It’s the thought that counts, but I always like a handwritten thank you note. Also, if your child is applying to secondary school, they can also send thank you notes. When writing thank you notes, be specific with your words. Tell the admissions director what impressed you on the tour or during a parent interview and why you think the school would be great for your child. Perhaps you observed a fabulous kindergarten teacher who you know would inspire your child. Did the stunning campus make you long to be a child again? Mention it! Private schools appreciate when families notice their outstanding programs and facilities. Another nice gesture is to use the time when you’re waiting for admissions letters to arrive to send the admissions director a short note reiterating how appreciative you are of the school’s warm welcome during the process. Add a few lines about what you think makes this specific school so remarkable and why it would be a great fit for your family. Personalized stationary is always a good option. Of course, you can mix it up too, by sending an email or e-card to the admissions director. Those also work nicely. When the admissions director opens your kid’s admissions file, those thank you cards, notes and emails will stand out. They are a positive reflection of your family. Importantly, they are also a courteous, genuine reminder to the school about why you are hopeful your child will be admitted. We’re excited to be featured on the front page of Elizabeth Street! My co-author, Porcha Dodson, and I are talking about what to expect for kindergarten admissions testing. Porcha previously administered testing day at Curtis School. Finding it hard to put words on a blank page? Struggling how to describe your kid? Pondering questions you didn’t expect? Here’s my latest post about getting started writing and things to be sure to include in written applications for private elementary school. On Elizabeth Street.